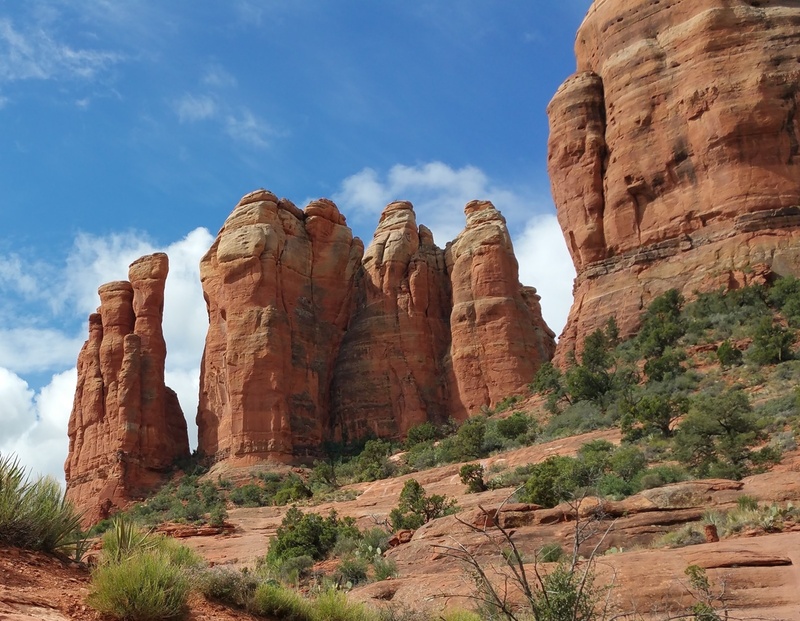 Cathedral Rock is a great hike to start off Sedona, with its Egyptian Heads and breathtaking views. You can start your climb from Verde Valley Road by taking Templeton trail or from Back O’Beyond parking which is what most people do (from 179 take Back O’Beyond Road for 0.6 miles and you will find the parking on your left) and then go on a steep climb of 600 ft for about 1.5 miles to the main saddle at top of Cathedral. Don’t just hike to the top as most people do, go around the Egyptian Heads by continuing your hike once you get to the top. 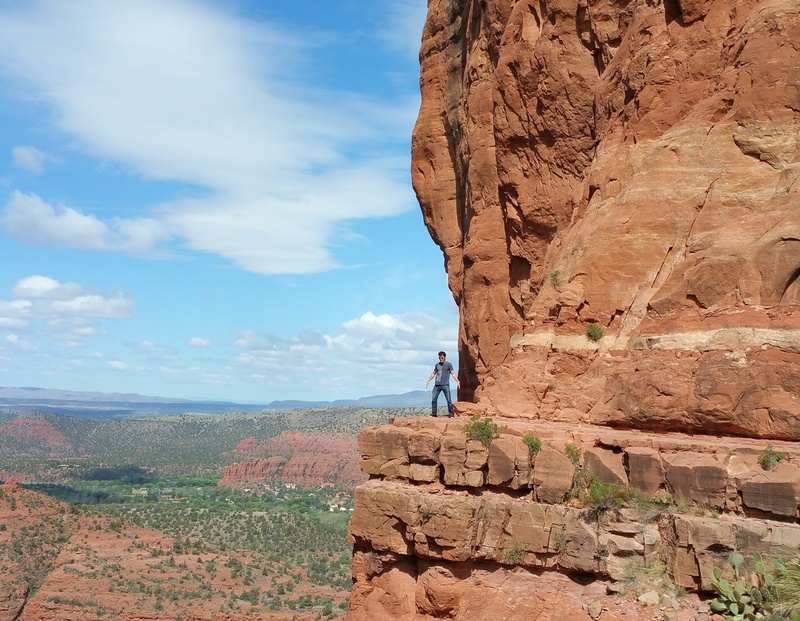 Just follow the path to the left and circle around the big rock on your left counter-clockwise until you get to an opening or second saddle that goes up between the towering rocks called Egyptian Heads. Follow this path and you will get to the opening between the rock formations and find the path to the other side. Go down the steep trail until the path flattens and continue to circle the Egyptian Heads counter-clockwise until you meet again with the main path you took going up. If you are lucky, you may get a nice picture like this one with the bell that we got at this magical place, which has a very special meaning to me. Cathedral Rock is a special site and if you go looking for a spiritual experience you may actually find it if you take your time. Just look for a quiet place away from the path where you won’t be disturbed by people.